Halee and Daniel first met at an Admirals game, where they'd been set up by mutual friends. Their second date consisted of a pub crawl & mini putting - and this sealed the deal for Halee. Listening to the speeches at the wedding reception, everyone agreed that these two have found their other half and soul mate, and they both knew it early in their relationship. With a lot more ups and downs than any young new couple should have to endure, these two were able to get through it together and celebrate their wedding day with a lot of love and laughter. The bride's God Mother did an INCREDIBLE job on the flowers & decorating of the reception hall. Hair was done by a friend of the bride, and make up was provided by Sevva in Milwaukee. The couple stayed at The Brewhouse Inn and Suites and had their first look on the second floor near the vintage copper kettles. We then loaded a bus and headed down to the Milwaukee Art Museum for some fun photos, before returning to The Best Pace at the Historic Pabst Brewery, where the ceremony was held outdoors in their courtyard. The bride's twin brother performed a very funny, laid back and perfect ceremony for the happy couple, and guests were escorted right into cocktail hour after the ceremony finished. Since we'd taken care of all the portraits ahead of time, we quickly took care of family formals, and Halee & Daniel were then able to join their guests, mingling and visiting. Dinner provided by the Smoke Shack and Kringles for desert from O&H Bakery. 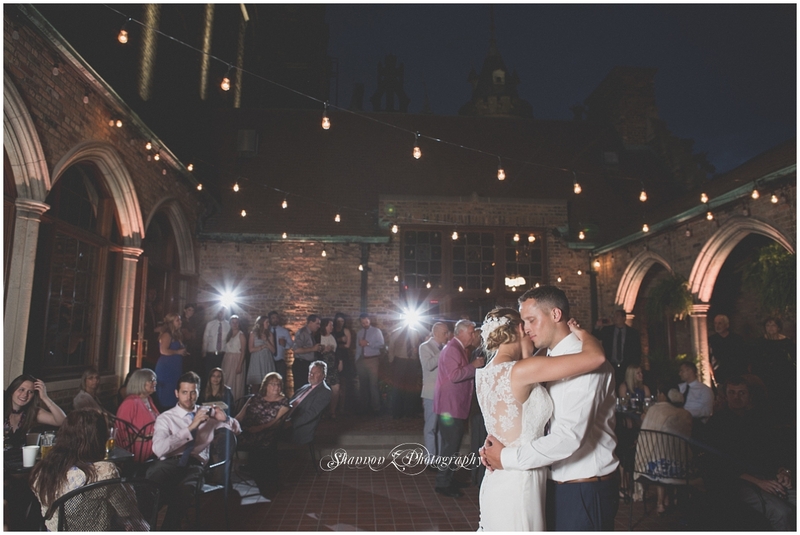 Sound by Design did an excellent job keeping the guests entertained, and dancing in the courtyard under a perfect Milwaukee night sky.